Phil Parkinson is leaving Bradford City for Bolton Wanderers, and this raises some serious challenges and questions for our new owners. On the face of it, this seems like a bizarre decision. Leaving aside history, Bradford City are in at least as strong if not a stronger position than Bolton. The club is debt-free, and with new investment in place will surely be in a strong position to recruit this summer. Meanwhile, despite their former chairman wiping a large amount of debt off the club, Bolton still have a large amount of debt and are currently under a transfer embargo. Bradford City also arguably have more potential for growth, with large crowds and not much in the way of local competition, whereas Bolton struggled to fill their ground even in the Premier League, and will always struggle to come out of the shadow of their two giant neighbours. Finally, Phil Parkinson has swapped a club where he was hugely popular amongst supporters for one where he has no credit built up, and nothing to fall back on during runs of poor form. This, therefore, leads to questions. 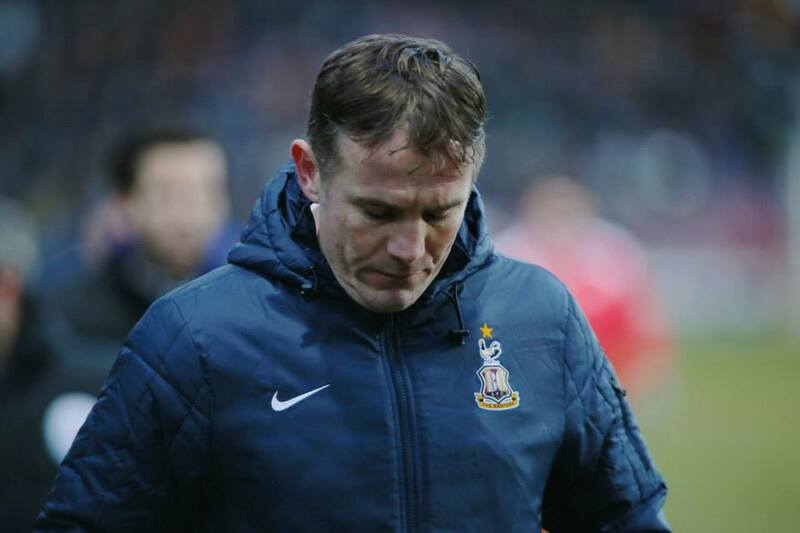 How could Bolton, with all of their financial worries, offer Phil Parkinson better prospects than us? How could they afford the compensation, rumoured to be £200k for Parkinson and anothert £100k for Steve Parkin? And in light of tweets by a journalist for the Bolton News suggesting that the compensation fee is very low, have they even paid his release fee? There were rumours throughout the takeover that the new owners wanted their own man in, and that Phil Parkinson would be replaced by someone like Uwe Rosler. Did our new owners really want Phil Parkinson in charge? Was the approach from Bolton used to remove someone that the owners did not want and get a fee at the same time? Or did we fight as much as possible to keep our manager? The club now needs to appoint a new manager, and quickly. If we do not have someone in place soon, we will go into pre-season behind in terms of recruitment, which will hurt our chances. This is the biggest decision that the club has faced for years, and it is essential that we get it right. Phil Parkinson was this club’s best asset, and the very first job of our new board should’ve been to ensure that he stayed here. In this, they have failed. If we haven’t forced Bolton to pay the maximum possible for him, and haven’t given Parkinson as much backing as possible, then it is, put simply, the worst mistake the club has made since the administrations. This leaves the biggest question of all – could we have done more to keep him? The club’s biggest asset are the fans not Phil Parkinson, we are there through the good and bad. I wasn’t counting the fans in this, as there’s not a realistic chance of losing all of us to other clubs. Love this comment, we move on! 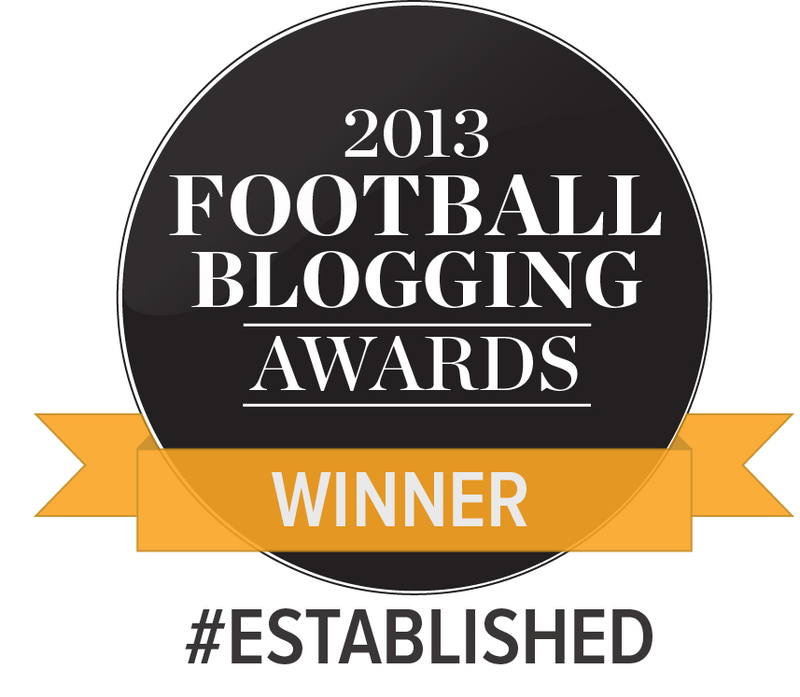 CTID! Phil has been great for BCFC and we have been great for him. It really doesn’t make sense unless the new board wouldn’t agree to Phils budget demands or as has been stated many times they wanted to take back some of the autonomy he had under Messrs Lawn and Rhodes. It seems a strange move. Good luck and thanks for the memories. Hopefully the new manager will be able to pick a striker and a midfield that are fit for the mighty bantams. This will no doubt reflect on season tkt sales I would imagine. Okay Bolton may not be filling there ground but there’s more income coming in from gate receipts than at Bradford. …Bolton are bigger club than us without question. I understand from articles from T&A our new owners (Investers) had meeting with PP to discuss the playing budget for next season. Maybe PP didn’t like the budget? Who knows. I wasn’t keen on this takeover and now I’m even more concerned about where the club will be in 12-18months. I feel the heartbeat of our club as been ripped out!!. Uwe Rosler does not fill me with any confidence in doing the job . A massive own goal by the new owners, who are still (7.55pm) not denying or confirming the events of earlier today. This will effect season ticket sales dramatically. In my opinion they could not have got off to a worse start. Can’t agree more Neil . Still no statement from the new Investers worries me . I’m sure we’ve been led up the garden path here as something smells very fishy. Trust you Mark to see only the smaller picture. Blaming the new owners at this stage is a little unforgiving, we don’t know the full story. Let the dust settle and hope that he takes our Idle Boy with him! Like nearly every fan I am very sorry. But the previous owners tried to sell the Club for a long time, and the new owners were the only takers. No one has any evidence that the new owners have done anything wrong at all. He was not sacked, he walked. I wish him well, he leaves wonderful memories, but he has gone. True fans will get behind the new manager and want success for him. We may, or may not, find that this will work out well. Surely, they have not spent so much money in order to bring failure. I wish them well, and will continue, as always, to be a City fan. I can’t say I am not disheartened. I had utmost respect for PP. Certainly our star player over the past four years or so. His team-ethos and encouraging players to applaud the fans as well as his own applause to us each game was special to us all. However whatever the reasons for the parting of the ways, any true fan will wish him well in his future as gratitude for his perseverance through good times and bad times with Bradford City. Also any true fan will get behind our new manager and roar our team on to success. If we generate an atmosphere negativity we will also put off any potential signings as well as drive current players out of the door. Like a party, people only stay whilst it’s fun to be there. Let’s all keep Valley Parade one great big fun filled party, no matter what our feelings about all this! The new owners could have got PP to sign a new contract on day 1 of their ownership. Without PP what is Bradford City? I have only been a S/T holder for 4 years and have felt this club was something special under PP. In other towns where I have lived and followed the local team there hasn’t been that feeling. I don’t believe that Bradford City is nothing without PP, if he has gone I’m firstly appreciative and then sorry, but will renew our 8 season tickets and support the new manager. I’m not sure what evidence supports your view that the new owners have failed or that it’s the worse mistake since the administrations at least you haven’t blamed Roger Owen yet. BWFC fan here, and I come in peace. I must admit I find it confusing why such a successful manager at your club has chosen to come to ours. On a selfish note, I pray PP will be our very own Mary Poppins as we certainly need a hell of a pick me up following everything that’s happened over the last 18 months – God knows we need it! That said, your club appears to be in a strong position so dare I say, after the disappointment, you’ll come back strong. I feel certain he will get a v warm reception from the City faithful . First of all I’m a BCFC fan who is not a fan of PP. His home record up until this past season @ VP has been very poor. We went over 20 games in I think it was his 2nd season without a win. That’s BWFC form! Just get ready for defensive/negative football and substitutions @ 75/80 mins or so. In total agreement – clubs would pay a small fortune for a management team that could hold onto the hearts and minds of its supporters. We appear to have let our slip through our fingers with no intention of keeping them in. The only way of regaining the trust of its supporters I would advise is for a competent and well regarded manager to come into the fold together with a sack full of promised cash from the board and some impressive quality players signed in the first few weeks. I fear however that this will not happen. Boy you can’t say its boring supporting this club. Enough drama to win a Bafta. This is what hurts the most as a football fan. We are just never in the loop, and despite our loyalty to our club so many deals are done behind closed doors these days and we never find out the real facts. I fear yet again this will be the case and one of our greatest managers will leave and we will never know the reason why. Good luck to Phil, he’s created us some truly superb footballing memories that City fans can treasure forever! It seems a bit fishy only a few days ago James Mason said no contact from Bolton had been made and their chairman said they wont pay compo. 2 days later Parky is leaving with his backroom staff. I only hope we get the maximum compo for them but it sounds unlikely with the quickness everything happened and potentially Bolton have had a bargain. Parky will always be considered one of the top 2 or 3 managers we have ever had but its too early to judge if this is a bad move or not. Lets see who our new manager will be and who he brings in then we can have more proof whether it was a good move or not. Why at this precise moment did our former manager choose to leave the football club he’s helped stabilise and establish albeit in League 1? Its history repeating itself. We’ve been here before with Paul Jewel. If its Parky’s choice then fair enough but if its down to some disgreement with the owners we’ve lost one of the best young managers in the football league – again! Bolton supporters must think its Christmas! PP said something about a fresh challenge, we were only a few goals short of automatic promotion FGS. Yes you have to do it all over again, but this time better. Does Arsene Wenger walk out and join Chelsea because he wants fresh challenge?